Jaws is not just the story of a killer shark, a career-ending political cover-up, and two boys who cause a mass panic at the beach, but the liability of a common carrier. The movie is one giant bar exam for would-be lawyers to bite down hard and thrash about on. The fact Quint took passengers for hire on the Orca would make the vessel a “common carrier” under the law engaged in commercial fishing. Common carriers in Massachusetts, “owes to its passengers the highest degree of care in the anticipation and prevention of violence from its employees, other passengers, and even strangers, as is consistent with the nature and operation of its business. The test is foreseeability of harm, but the carrier is not an insurer of the safety of its passengers, nor is it obliged by law to foresee and to guard against unlikely dangers and improbable harms. Quigley v. Wilson Line of Massachusetts, Inc. 338 Mass. 125, 128 (1958) (Citations omitted). Quint grossly violated his duty of care to his passengers after finding the shark. 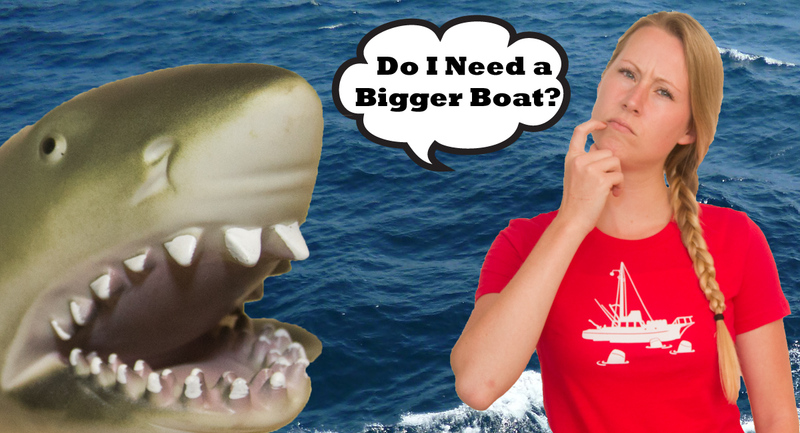 Despite the fact Quint needed a bigger boat, he continued following the shark out to sea. Quint continued to hunt the shark after the night attack on the vessel, which broke multiple planks below the waterline, causing flooding in the engine compartment. Quint took two intentional actions that demonstrated total disregard for the safety of his passengers: 1) destroying the radio with a baseball bat and 2) burning up the bearings in the main engine by cruising at full speed with the engine compartment flooding. These two actions rendered the vessel non-operational and destroyed their ability to call the Coast Guard for help. Quint’s actions were intentional that risked the lives of both Brody and Hooper. A jury would take a bite out of Quint’s Bumbershoot Policy and rightly attached punitive damages that would sound like nails on a chalkboard for his intentional conduct. Moreover, the Coast Guard would pull his Master’s License for such dangerous actions. However, this is moot a point considering the shark took a love bite out of Quint.